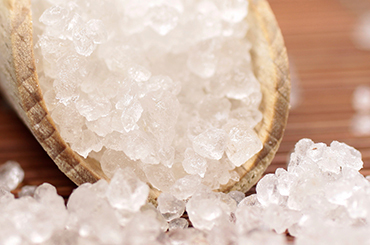 Who is At Risk for Bath Salt Addiction? Bath salts are synthetic stimulants that mimic the effects of illicit drugs like MDMA (ecstasy) and cocaine and are not detected in routine drug testing, perhaps heightening their desirability for potential users. Data from poison control centers indicates that the rise in bath salt abuse has lead to an increase in emergency department cases. Bath salt abuse follows the recent market proliferation of synthetic 'designer' drugs. They are considered 'legal' highs because they can be purchased in convenience stores, gas stations and on the Internet. Despite their addictive potential, they are readily available because they're labeled 'not for human consumption' to circumvent legal regulations regarding their distribution. Bath salts are administered orally, by insufflation (snorting) or intravenously. Toxic neurological and cardiovascular effects in higher doses. All three are Schedule I controlled substances in the United States, but new compounds and mixture of bath salts are routinely produced to circumvent legislation. MPDV is frequently implicated in bath salt overdose--patients admitted for bath salt overdose often have elevated MPDV levels in their blood and urine screens. Research supports the assertion that MPDV is primarily responsible for the adverse effects of bath salt use. Perhaps the most dangerous aspect of using bath salts is that an individual with no prior history of psychiatric or mental disorder can have acute presentations of psychotic behavior after using bath salts. Bath salt use can result in serious medical complications after consistent use, but extensive studies into the long-term effects are lacking. 46% of bath salt users show significant symptoms of mental illness. Centre for Disease Control and Prevention, 2011 Psychological disturbances are the most commonly reported adverse effect of prolonged bath salt use and may exacerbate underlying genetic vulnerability to mental health issues. Some research indicates that bath salt users have higher schizotypal and depressive tendencies. Schizotypy refers to personality characteristics that indicate imaginative states, tendencies or experiences similar to schizophrenia. In 2011, the Centre for Disease Control and Prevention reported that 46% of bath salt users show significant symptoms of mental illness. Managing a patient high on bath salts can become extremely difficult, and patients are usually restrained or heavily sedated. Excited delirium puts the individual at risk for dehydration, renal failure and other medical complications that can culminate in multiple organ failure and death. Frequent consumption of high doses can, over time, result in craving, tolerance and withdrawal symptoms that are consistent with the DSM-V criteria for drug dependence. Users frequently increase the dosage in order to postpone the arrival of withdrawal symptoms, and this precipitates a vicious cycle of use. Bath salts users are even reported to exhibit an unusual sweat odor--not a pretty picture. Concurrent cocaine, alcohol and cannabis or marijuana use are frequently implicated in toxic effects of bath salt use. Using marijuana with bath salts especially reveals an additive effect of the underlying psychopathology. Since marijuana and bath salts can both activate psychosis-like symptoms, using them together can be especially dangerous. Cannabis and sedatives are sometimes used to counteract the overstimulation and anxiety caused by bath salt use. Ketamine is frequently used to enhance the hallucinatory effect of bath salt use. Additionally, bath salts can mask the effects of central nervous system depressants like alcohol, and lead to adverse effects like alcohol poisoning due to a lack of realization about how much alcohol one has consumed. The American Psychiatric Association has been using the "Diagnostic and Statistical Manual of Mental Disorders (DSM)" since the early 1950s to define clinically dangerous or abusive use of a mind-altering substance. Use of a substance that prevents an individual from meeting his/her school, work, personal or home obligations. This can be marked by poor performance and prolonged or repetitive absences. Repeated situations in which the use of a drug endangers the life of the user or others. Continued use of the substance despite social, medical and interpersonal difficulties caused from the effect of the use. The need for excessive recovery time after use. Continued use when warned about its effects from a treatment professional. Bath salt use is most prevalent among 16-21 year olds.The prevalence of bath salt use is highest among 16- to 21-year-olds, suggests National Institute of Drug Abuse (NIDA) research. About 3% of high school seniors in 2012 reported trying at least one form of the synthetic drug, including spice and bath salts. Gender statistics are not clear; some data indicate no differences while others put men at a significantly higher risk than women. Bath salts also seem to be highly prevalent in the 'party drug' subculture and ecstasy use might increase the risk of experimenting with bath salts. Additionally, individuals seeking the stimulant effects of cocaine and other amphetamines are at risk for the recreational use of bath salts. Mental illness significantly increases the risk of having a substance abuse problem, as does the use of other drugs. Find a Meeting Narcotics Anonymous offers a 12-step approach to recovery from drugs such as bath salts. Find a local meeting for yourself or a loved one. The relatively new nature of these drugs suggests that help should be sought sooner rather than later, since the level of damage after a single use can be significant. Using increasingly large quantities of bath salts. Being unable to undertake normal daily obligations without the substance. Dangerous or unpleasant withdrawal symptoms when the user stops the use of the substance. Constant craving for bath salts after a period of use, along with obsessive thoughts about using. Emergency room visits due directly or indirectly to use. Criminal activity directly due to its use. Intervention could be sought immediately after the first use, before any of these symptoms occur. Friends or family members should seriously consider intervening to help a user the moment they see strange symptoms or dangerous behavior. The intervention can include calling a rehabilitation center for information or help. Rehabilitation centers can review treatment options and provide a detailed explanation of current symptoms. At present, treatment facilities use traditional models of intervention, counseling and aftercare to treat people with bath salt use disorders. Even if the drug of choice is different, the pain caused by the use is much the same. Families and friends of addicts of any drug are always encouraged to understand the need to care for their loved ones without being pulled emotionally into their addict's use, and to understand that they are not responsible for causing the use. They can also learn to gain strength from one another regardless of the fate of the user or addict. Current options for a bath salt addict or abuser follow the same concepts used for addicts, in general, although the specifics will vary based on the situation at the time the user comes in for help. Inpatient rehabilitation caters to individuals in the acute phase of abstinence, where they may need continuous medical monitoring and care in order to deal with their symptoms. Detoxification from bath salts can have serious neurological, psychological and cardiovascular complications, and medical care is necessary during this stage. Residential treatment programs are a type of inpatient rehabilitation that cater to people from all walks of life, with differing needs. Luxury treatment centers offer unparalleled accommodations in relaxing environments so that rehab feels like a vacation. Executive rehabs cater to clients who want to continue meeting their business obligations while getting treatment and offer a high level of privacy while doing so. In a conventional "residential" treatment, the recovering user can relearn social skills that may not have been used drug-free in quite some time. The recovering user may learn and directly benefit from healthy food options. They may also gain better sleeping and "sleep hygiene" skills, and learn other valuable things to aid in permanent recovery. Outpatient rehabilitation is an option for those who cannot take an extended break from their lives in order to go to rehab. An intake counselor will determine whether outpatient treatment is viable for an individual, depending on the length, type and severity of their addiction. Outpatient rehab consists of different treatment modalities that teach abstinence and coping strategies. 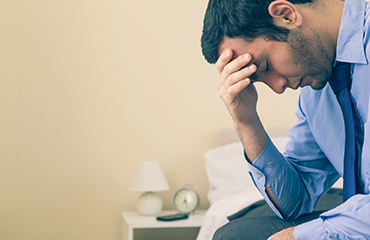 Cognitive Behavioral Therapy (CBT) focuses on immediate and short-term ideas and emotional tools the addict can use to function without returning to using behaviors. Users in recovery may be advised to live temporarily in a "sober living" community among fellow addicts where they can get ongoing support. Therapeutic communities are an option for users who have emotional and mental health challenges above and beyond the needs of a more conventional addict. Multidimensional family therapy (or "MFT") is an option for patients or clients once the immediate short term issues regarding detoxification and basic treatment parameters have been resolved. The MFT approach involves working with the client and their various family members individually as well as collectively. This approach examines the nature and causes of drug use within the family and aims to strengthen dysfunctional relationships, so abstinence is sustainable. If you or someone you know is looking for the right substance abuse rehab program, call us at 1-888-993-3112Who Answers? to get in touch with a treatment support advisor who can provide more information. The most dangerous aspect of bath salts is their legal status--never before has a drug been so readily accessible to young people and adolescents. The commercial availability of bath salts may lead some teens to believe they are benign compared to other 'restricted' drugs. The most dangerous thing about bath salts is that they're legal. In the US, The Synthetic Drug Abuse Prevention Act of 2012 places all synthetic cathinones in the Schedule 1 category, but the Internet availability and forensic difficulties in identifying the individual compounds create a regulatory loophole. This give the manufacturers an advantage and they aggressively produce new bath salt compounds with different compositions and circumvent these regulations. Therefore, it is extremely important for parents to be aware of the designer drug phenomenon and inform their teens about the dangerous effects of using these drugs.